The board of Key Club posing for a picture at the WOW Event. 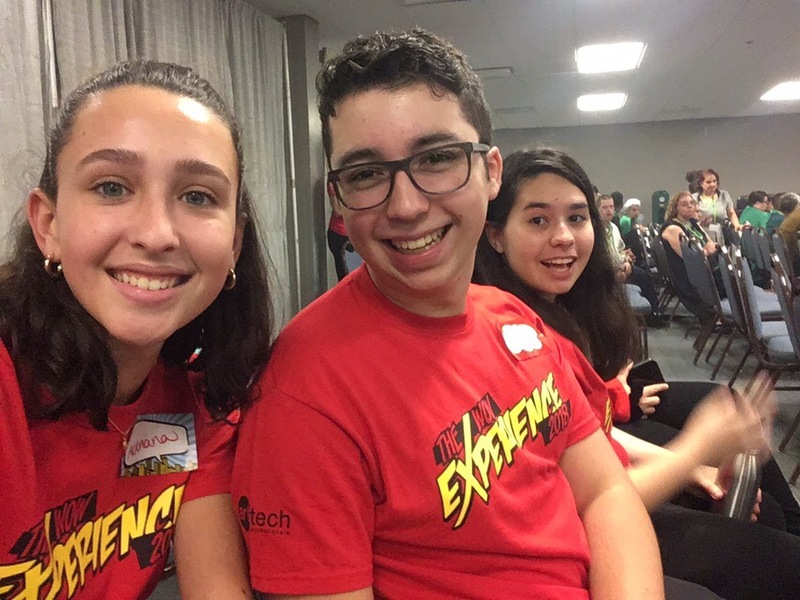 On Sept. 22, the board members of the Coral Gables Key Club chapter participated in the WOW Experience at the Miami International Airport Convention Center. The event is hosted by the WOW Center and aims to lift the spirits of adults who have lived with a mental disability. The center is an alternative to living in a hospice, so adults are taught social skills and a healthy living style. The center prides itself in improving the lives of its members by helping them navigate in society. Thanks to the WOW Center, adults can go on excursions where they interact with volunteers and are given the opportunity to explore the outside world. The staff of WOW Center, which includes volunteers, are caring people who have come to look beyond what holds an individual back and have set their sights on improving their quality of life. The theme for the fashion show was “Superheros,” and they showcased the story of the individuals and the Center itself. During the event, the board members volunteered as runners. They escorted the individuals participating in the show to dressing rooms and waited for them to get ready. Finally, the individuals would pose for a photograph to commentate the event. The volunteers then had the responsibility of taking them back to their seats as they waited to strut down the runway. Since there were over 200 individuals present, the WOW Center needed all the help they could find. Every individual needed to be prepared in terms of outfit, hair and makeup; luckily there were enough volunteers and staff to keep the show running smoothly. “I guess my favorite moment was seeing them on stage at the end because I had spent the day with them and learned so much and cared so deeply about them in such a short span of time that when I saw them on stage glowing being the happiest people they could be, I couldn’t help but tear up; it was such a beautiful and empowering moment,” senior Angie Lopez said. The members of the board have expressed how grateful they were for the chance to experience and be a part of such a wonderful and life-changing day. As they helped, the individuals taught them new things through their interactions as well as opened their minds to a new community of strong, caring individuals. “They were all excited for the show. There was one individual that even taught me how to say my name in ASL and signed the whole show as well,” senior Cristian Ochoa said. 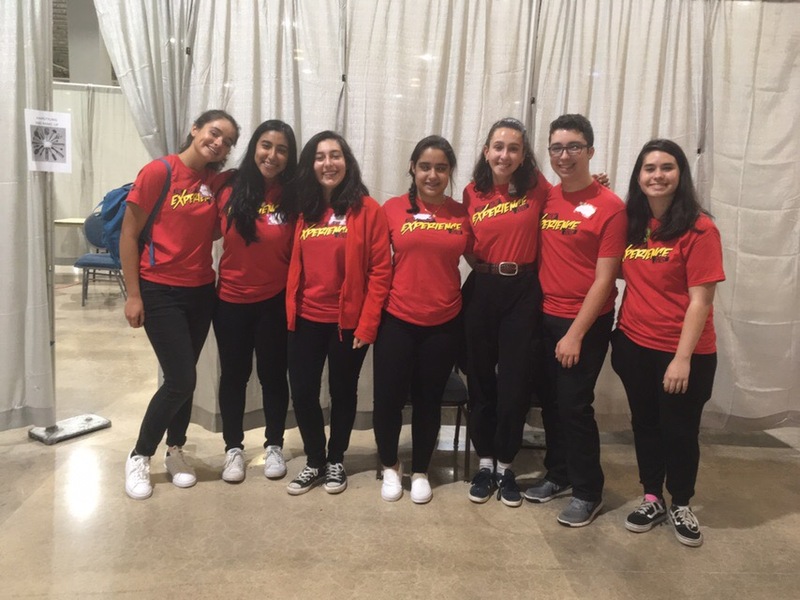 Although the event lasted only one day, all the members established a connection with everyone they met and cannot wait to volunteer at the WOW Center again. The board members are also looking into making volunteering at the Center one of their events. Key Club Board members smiling at the WOW event.